I believe that speaker measurements matter, and that a great-sounding speaker is a product of careful design and great execution. In short, I believe that great sound is not the product of accidents. To me, accuracy is the name of the audio game. Now that I’ve got that out of the way, I’ll tell you about a speaker that fits that bill. Until the review samples of the Reference 205/2 arrived, I had never heard a pair of KEF loudspeakers. What I had heard about was KEF’s reputation for building speakers that not only look and sound great, but are innovative. KEF was reportedly the first loudspeaker company to use computers to test and design loudspeakers, back in the early 1970s. 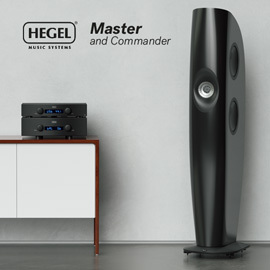 The use of computers to test a speaker’s frequency response, driver distortion, and cabinet resonances, among other things, gives me peace of mind: I know that many criteria were taken into consideration in the building of a well-rounded loudspeaker. Simply building a good-looking speaker cabinet and voicing it to sound a certain way isn’t enough for me. Unfortunately, too many loudspeakers in today’s market are designed to look the part, but their engineering doesn’t hold up to scrutiny. 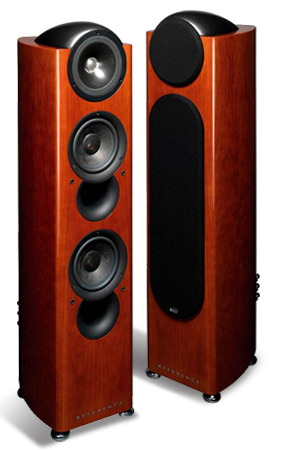 The three-way, floorstanding Reference 205/2 ($13,999 USD per pair) looks gorgeous, especially in the review samples’ High-Gloss Cherry finish. (Also available are finishes in Piano Black, Satin Black, High-Gloss American Walnut, Satin Sycamore, Satin Walnut, Satin Cherry, and a host of custom colors.) KEF says that each speaker is hand-built and hand-finished in their historic UK factory. The fit and finish of the cabinets were top-notch -- visitors to my room offered many compliments about the appearance of these speakers. The 205/2 isn’t huge. Weighing 74 pounds, it stands 43.5"H by only 11.125"W by 17"D, and its cabinet tapers to form a rounded rear. At the front of the cabinet, rising 3" above the top panel, is the swell of the top of a darkish-gray module housing the coincident tweeter and midrange driver (i.e., the tweeter is placed at the center of the midrange cone). This is no off-the-shelf unit, but one of KEF’s own Uni-Q drivers, comprising a 1" titanium-dome tweeter and a 6.5" midrange driver. The 6.5" cone acts as the tweeter’s waveguide, controlling its dispersion and making it more efficient. The midrange hands off to the tweeter at 2.3kHz with a fourth-order crossover slope. Closer examination revealed some interesting design elements. The surround of the midrange cone is flat, and doesn’t protrude past the edge of the cone, in an effort to avoid harmful diffraction effects. With a coincident driver, sound originates from a single point source for both the upper and midrange frequencies, so that the two drivers’ outputs are immediately integrated on leaving the front baffle. This also means that, wherever the listener sits, his or her ears are always equidistant from both drivers; in theory, this should result in perfect phase coherence. Below the Uni-Q driver are two 8" woofers with paper cones, crossed over to the midrange at 400Hz. Below each woofer is a 3"-wide bass port. Each 205/2 comes with two grilles: a small, circular one for the Uni-Q driver, and a long one with rounded ends for the woofers and ports. Both are secured with magnets, for a clean appearance. I didn’t use the grilles -- I found the speaker more attractive without them. At the bottom of the front baffle, the Reference logo stands out subtly against the glossy finish. On the rear of the 205/2 are three pairs of binding posts, for triwiring. But if you don’t want to triwire, KEF supplies a set of jumpers for each speaker. These jumpers have a different connector type on each end: a spade and a banana plug. If your speaker cables are terminated with bananas, then using the spade end of the jumper in the bottom post is the way to go. First, connect your cables to the lower set of posts, use the banana plug to jump the audio signal up to the midrange posts, and then use another jumper from the midrange to the high-frequency posts. A nice feature of these posts is the way the spade connectors are inserted into them: a slot keeps the cable from twisting once it’s connected. Several times, when I’ve moved a speaker while the cables were still connected, the cables have shifted a bit, loosened, and fallen out. The 205/2’s posts keep this from happening. However, if your cables lack flexibility at the ends, then sliding them into the binding-post slots may prove difficult. Above the binding posts are three caps that can be used to slightly adjust the low and high frequencies. To reduce the bass by 2dB, unscrew the cap from the LF Adjust insert. To adjust the highs, two inserts are available: A and B. With these, four settings are possible: -0.75dB, 0dB (flat), +0.75dB, and +1.5dB. For my listening, I used the default flat setting. I also kept the screw in for the low frequencies, which kept the speaker flat throughout the lows. Finally, a nice extra is the care pack: in my case, a wooden box the same cherry color as the review samples. Inside is an informative booklet that provides detailed instructions for properly setting up the speakers, a history of KEF, and technical descriptions of all models in the Reference line. Also included are a DVD containing the owner’s manual, threaded spikes and casters, locking nuts to adjust the speakers to the proper height, a small spirit level, and a cleaning cloth for keeping the furniture-grade cherry finish in top form. While the Reference 205/2s were here, I set them up in two different listening rooms, but each time hooked them up to the same electronics. I currently use a Simaudio Moon Evolution 600i integrated amplifier, and a Bel Canto DAC3 D/A converter that receives digital signals from my Apple MacBook Pro laptop computer. I use iTunes to manage my music files, and Sonic Studios’ Amarra software to automatically change the computer’s output sample rate to match the native resolution of whatever file I’m playing. 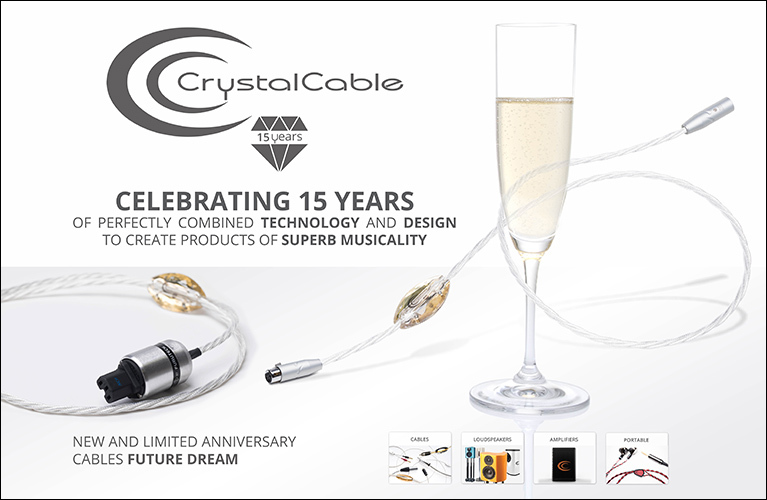 All cables are by Analysis Plus. Because my new room is dedicated to listening, I was able to maximize the 205/2s’ performance there with no constraints on speaker positions. The room measures about 22’L x 14’W x 8’H, and my listening seat is 15’ from the front wall. The KEFs started out 4’ from the front wall, but ended up about 2’ farther into the front corners. Because the 205/2’s bass ports are on its front baffle, the speakers had to be pushed closer to the front wall to achieve better low-end extension. After lots of listening and in-room frequency-response measurements, the KEFs ended up some 10’ apart, with 2’ between the speakers’ rear panels and the front wall. I found that a slight toe-in let the speakers properly scale and image. One of the Reference 205/2s’ best qualities was their imaging capabilities. In my old room, a living room not entirely dedicated to listening, the 205/2s imaged better than any speaker I have reviewed. When I played "Pretty Good Year," from Tori Amos’s Under the Pink (CD, Atlantic 82567), I appreciated how solid and stable the center image was. Amos’s voice stands out at the beginning of this track, which has long been one of my reference recordings for the imaging of women’s voices. In the past, I’ve heard exceptional imaging from many great speakers, but the outputs of the 205/2s’ Uni-Q tweeter-midrange drivers seemed to integrate better than any of them in my room, and thus reproduce a more rock-solid Tori Amos. The KEFs also created a bigger sweet spot -- I could move to the right or left about a foot and still hear a solid center image. The KEFs also did a great job of mapping images on the soundstage. In complicated arrangements like the one in "Essa Moça Tá Diferente," from Bossacucanova’s Uma Batida Diferente (CD, Six Degrees 1106), the KEFs were more than able to precisely position the instruments played by this lively Brazilian group. From the quick, punchy bongos to the driving brass section, it’s the kind of track you can listen to with a clock-radio and still get a lot out of it. But through a high-end rig, the great separation and air around the instruments make it a much more enjoyable experience. In "These Bones," from the Fairfield Four’s I Couldn’t Hear Nobody Pray (CD, Warner Bros. 46698), each singer was fleshed out and easily located. The deep, deep voice of the opening soloist was properly rendered, with great tonal accuracy and appropriate weight in the lows. The 205/2 also had incredible midrange sparkle and accuracy. In fact, the speaker’s midband was perhaps its greatest strength. On Rebecca Pidgeon’s cover of "Spanish Harlem," from her The Raven (CD, Chesky JD205), the KEFs popped her voice right out front, her midrange sparkle sounding detailed and alive. The reverberation of her voice within the recording space hung around a bit longer, with more air, through the KEFs, which made the reproduction more realistic. The acoustic bass, too, was nicely reproduced, and satisfying in its depth and power. One recording I’ve recently used to test soundstage depth is "Old Man," from Neil Young’s Live at Massey Hall 1971 (CD, Reprise 43328). At the beginning of this track, Young can be heard asking a photographer not to take pictures of him during the performance. At first, Young’s voice is just off-mike; a few seconds later, he’s directly in front of the mike again. It was a neat moment when, the first time I listened to "Old Man" through my reference Rockport Mira speakers in my new listening room, I felt I was sitting in the audience, close enough to hear the exchange between Young and the photographer. The outputs of the Miras’ separate tweeter and midrange drivers combine to provide incredible depth of soundstage, and this was a prime example. The KEF 205/2s accurately conveyed the tonal balance of Young’s transition from off-mike to on-mike, but lacked the depth I’m used to hearing from the Miras -- and this track just isn’t the same without it. The soundstage in my room was more forward, and perhaps this accounted for the lack of depth. I was afraid that pushing the KEFs farther back toward the front wall to get deeper, more powerful bass would further reduce their reproduction of depth, but I found that they performed the same. Still, the Rockports’ depth of soundstage was one thing that KEF’s Uni-Q drivers didn’t completely deliver in either of my rooms. 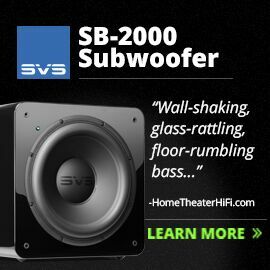 If that kind of depth is something you crave from a pair of speakers, then try to hear the 205/2s in your room before buying. Although the KEF 205/2s are conservatively rated down to 45Hz, +/-3dB, I was able to get more usable bass from them in my room -- perhaps 35-40Hz. Bonnie Raitt’s version of "Baby Mine," from Dumbo, on the compilation album Mary Had a Little Amp (CD, Epic 92908), begins with a bass guitar that does little more than go up and down the scale. Because I’d taken a lot of time to properly position the 205/2s to give them their best shot at playing full-range material, this bass line sounded very smooth and linear. Each note varied only in pitch, not in volume; I heard no dips or peaks in the bass response due to problems with the room or with the speakers. It’s likely that the 205/2s were so easy to place in my room because they were so well engineered in terms of how they radiated sound off axis. At louder volumes I approached a point where the KEFs could overload the room, but those levels were slightly louder than I would ever consider listening to for pleasure. I never felt that I pushed the KEFs so hard that they began to distort or compress the sound -- another indication that the speaker has been well designed. 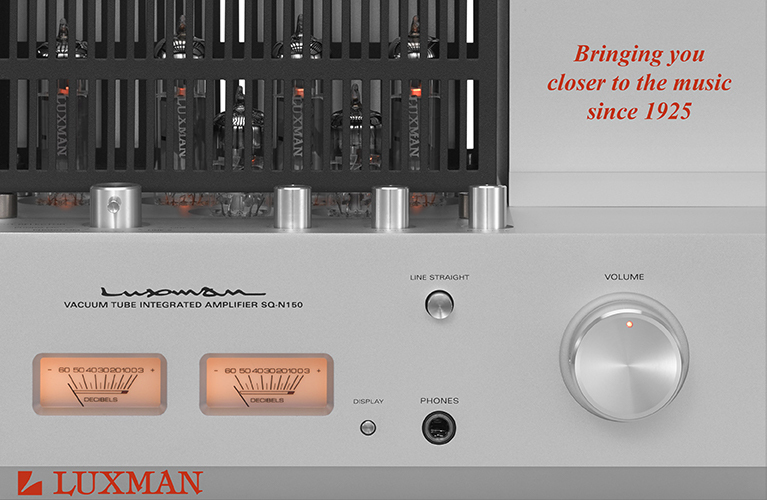 With any kind of music, my 150Wpc Simaudio integrated had no problem driving the 205/2s’ claimed sensitivity of 90dB. My reference Rockport Technologies Miras ($17,000/pair) provided a useful comparison with the KEF Reference 205/2s. It was apparent right way that the 205/2s were more extended in the highs. In fact, the Miras sounded almost a bit dull in comparison. Listening to brass instruments, there were times that I felt the KEF walked a fine line between being ultra-extended but just right, and perhaps a bit taxing on the ears. The midrange drivers of both speakers were very well integrated with their respective tweeters. The KEF’s extended highs meant that the midrange was a bit livelier with certain songs, but overall, between the two models, midrange transparency and accuracy were a wash. The Miras provided the soundstage depth I’ve come to love, however, while the 205/2s couldn’t. Both speakers imaged equally well in my new, dedicated room, but the KEFs imaged better in my old room. This makes me think that its Uni-Q driver makes the KEF a better speaker for asymmetrical rooms. 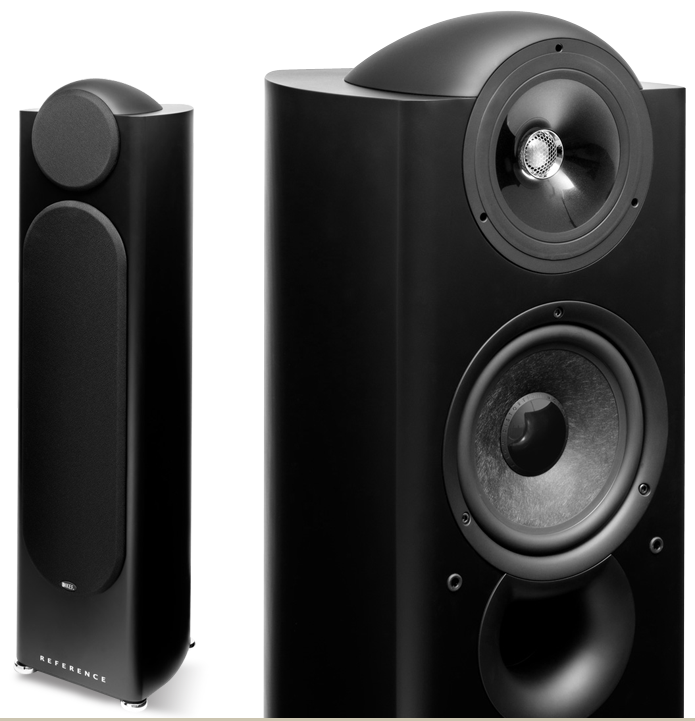 As for the lower frequencies, both speakers were capable of providing good midbass weight when that was needed. Both were detailed and nimble enough to reproduce the sounds of double kick drums and the textures of stringed instruments, though in this area the Mira was the clear winner. I wonder if the Mira’s extended low end might sometimes cause me to overlook how good the speaker’s midband and highs are, so ample are the weight and foundation of the former. The Mira’s 10" woofer plays noticeably lower than the KEF’s two 8" cones. The Rockport’s bigger driver also sounds more detailed than the KEF’s, and more articulate. Not that the KEF wasn’t articulate in the bass -- it’s just that the Mira has the best bottom end I’ve heard for under $25,000/pair. Both speakers are very well built. The Mira weighs twice as much as the 205/2, and its cabinet construction feels far more inert. On the other hand, the Rockport comes only in black or silver; KEF offers a wide choice of cabinet finishes, and visitors to my listening room preferred the Reference 205/2’s appearance. Both speakers are very neutral and linear in their reproduction of sound, but while the KEF’s balance slightly favored the highs, the Rockport has more bottom-end warmth. Each will likely excite the type of listener who leans toward what it does best. I so much enjoyed listening to the KEF Reference 205/2s that they ended up being connected to my audio system longer than any other review samples have. I was mesmerized by their imaging ability in both my living room and my dedicated listening room. The 205/2’s highs were extended, its mids sweet and detailed -- qualities I came to cherish and admire. And the KEF’s bottom end is capable enough that most users may not need a subwoofer, depending on the style of music listened to. 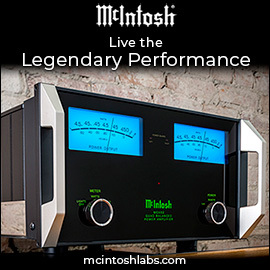 The low end was very nimble, and well integrated with the magnificently clear midrange. The KEF Reference 205/2 is a well-rounded, lovely-looking loudspeaker that packs a lot of technology into its glossy cabinet -- it’s a true audio gem that you must hear for yourself. Price: $13,999 USD per pair.